China Central Television (CCTV), the predominant state television broadcaster in mainland China, aired an investigative report about the dangers of trading FX about two weeks ago. The report showcased stories of Chinese traders who ran into problems with their brokers. Two brokers were targeted by the broadcast, IFX Markets and SFX. China, a country with the largest population in the world and a fast-growing economy, has been a prime market for many FX brokers in recent years. However, trading spot FX and CFDs is not regulated nor licensed in China, therefore brokers only set up representative offices in the country. The traders need to transfer the money abroad to the official brokerage company with whom trading is done and the local offices only offer support and training. One of the cases in the report was of Ms. Liu who lost almost $1 million in trading with IFX Markets, the Chinese brand of UK-based brokerage City Index. An IFX Markets spokesperson said to Forex Magnates: “The complaint was investigated promptly upon its receipt and the internal investigation confirmed that the Complainant’s losses were not as a result of any conduct on our part. As the Complainant was unsatisfied with this conclusion, we advised that she appeal to the Financial Ombudsman whose decision we agreed to comply with. However, for whatever reason, the Complainant refused. Forex Magnates has translated the full broadcast from the video of the report in Chinese which can be found on the CCTV website by clicking here. Host: What we are talking about now is of many people’s concern: financing. For those of you who share this concern, you might have heard about this “foreign exchange margin trading”, which essentially is what’s commonly known as “foreign exchange speculation”. Many organizations claim that through speculation in foreign exchange, you could win a large sum of money with a small investment. It sounds really beautiful, but in reality, it’s horrifying. Host: When you put “foreign exchange margin trading” as key words in the online search engine, all kinds of platform website will show up on the screen. Pick one and open it, and you will see many promotional banners. Some say: The leverage effect of foreign exchange speculation reaches 1:500 – which means with only 1 rmb as investment, you could trade foreign currencies worth 500 rmb. Some even boast a 100% bonus. In 2013, Ms. Zhang from Ning Xia Province came to know about this financing measure, foreign exchange speculation. Ms. Zhang: He told me that currently the stock trading is difficult given the dire market, and you can’t make money out of it. But by doing this, you could earn money easily. And with its leverage, a 1:100 leverage, you could trade with just some 50 to 100 thousand rmb. Host: But it didn’t take long before Ms. Zhang sensed something was not right. Ms. Zhang: It was in 2013, May probably, just around those days when the market dived dramatically by several hundred points, and my account went margin call. At that time I probably had about 70,000rmb in my account. Host: In less than half a year, instead of earning money, Ms. Zhang has lost all her investment. She was unwilling to accept this. Ms. Zhang: After the margin call, he told me again that if I put some more money in, he could guarantee that I could gain enough money to compensate the previous loss. So I followed with another investment, about 70,000 rmb. And in the end, I couldn’t open my account any more. Host: That was when Ms. Zhang realized that it was fraud. But she is not the only one. Mr. Huang from Heifei in An Hui Province encountered the same experience last December. Mr. Huang: SFX, the name of the fraudulent platform. Reporter: Which country are they from? Mr. Huang: He said they were from New Zealand. They gave us some training and claimed that the monthly gain could be as high as 3-5%. And I thought this is pretty good. Host: Just one month and you get as much as the annual bank saving deposit interest. Mr. Huang thought it was a good deal. Together with several friends, they put money and invested 1.5 million rmb. But the dream of becoming rich only lasted two months, and the problems emerged. Mr. Huang: So then I made the investment with several friends. Actually, their platform was probably a simulation platform, with no connection to the real trading market at all. It’s merely a numbers game. Because when we found the problem later, we could no longer access the platform any more. Reporter: But you did see their office, didn’t you? Mr. Huang: Yes, I do know their office location. But now there’s no one there. Host: Compared to the two investors mentioned above, Ms. Liu from Shenyang appeared to be much more cautious. Two years ago, through a friend, she came across a foreign exchange speculation platform called IFX. Before making an investment, Ms. Liu did some homework. Ms. Liu: I checked its administration number. It seemed to be a formal and authentic company in the UK. Another major reason that made me trust it was the fact that it was registered with the Chinese Ministry of Industry and Commerce. My investment totaled around one million dollars. Host: However, in less than one year, Ms. Liu lost almost all of her 1 million dollars. At the beginning, she thought it was her poor skill to be blamed. But then she noticed that when trading a large amount, the system went wrong from time to time. Ms. Liu: All my money would be gone if I did not close up those trades. Reporter: Which is to continue to put money in to bring it up to the maintenance margin. Ms. Liu: Right, right. But then it (the system) didn’t allow me to close out the trades. Manager Mr. Yi: Our response to you is we can’t take care of this issue. Ms. Liu: Why can’t you take care of it? Manager Mr. Yi: There is nothing to deal with. Our company in the UK has refused to take care of it. And you expect us to do it? It is not us, but our headquarter that made the decision. Ms. Liu: But I opened my account with you. Manager Mr. Yi: Our headquarter deemed your complaint as not legitimate. So they have refused to process it. 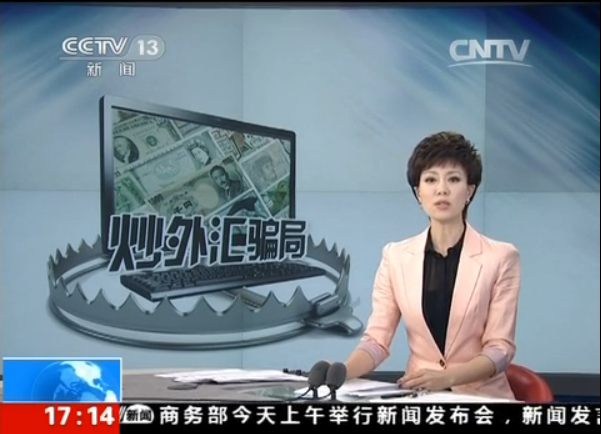 I suspect that more and more Chinese people will speculate in the forex market as a result of this newscast. China cannot afford to clamp down on FX since it wants to actually establish the RMB as a world currency like the EUR and USD. It must allow speculation to do so if it wants to be a part of the outside world. Interesting that Chinese State Television made a big deal about this, particularly when it appears that big corporate Chinese companies appear to be looking to launch their own financial trading products. I wonder if China will begin to clamp down on Foreign firms should Chinese firms begin to gain ground in the Country? Anyway, I’m sure a number of brokerages won’t be pleased with this news, as I believe their a couple of CySEC brokers who heavily rely on volume/business from China. I would suspect more of a trend that local banks or brokerages would offer fx themselves, thus pushing out all the non-licensed foreign fx brokers. 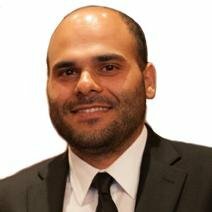 @jon, I don’t think the govt is clamping down fx, more so getting rid of foreign brokers who are not licensed, which are most of or all of them. I thought the Chinese gov’t was creating a free trade zone in Shanghai in order for foreigners to transact directly with China vs having to go through Hong Kong, Taiwan, etc.